- Even when open, printing is visible from the back. 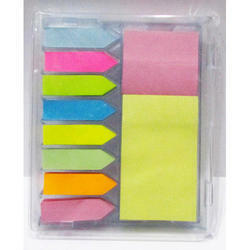 - Contains Multi-colour memo strips and writing pads. 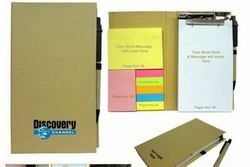 - Complete stationary set for table with writing pad, sticky memo pad and memo strips with pen stand. The product in display is made from plastic and is grey in color. It is suitable for office as well as personal use.